My Top 12 Favorite Funny and Ultra Creative Bedding Sets for Kids and Adults! 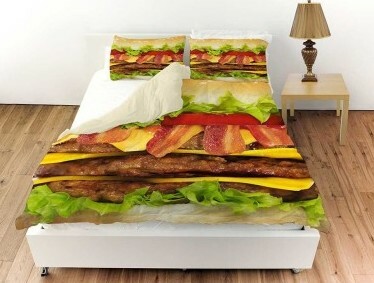 Have you ever thought about sleeping on a funny hamburger or cheeseburger bedding set? How about a pizza one? Perhaps your little boy is dreaming about becoming an astronaut one day? Know anyone who loves skeletons? How about those cute emoticons? If you answered ‘yes’ to any of these questions know there is a funny and creative bedding set on that theme! I found a few of the most creative and definitely funny bedding sets around! *Yup, the one above is a delicious deluxe bacon cheeseburger queen size bedding set for sale! Can you smell all that bacon? Have the most wonderful and delicious, juicy dreams! Look at all the sesame seeds on that bun/pillow cover! Colorful Yummy Donuts Bedding Set! 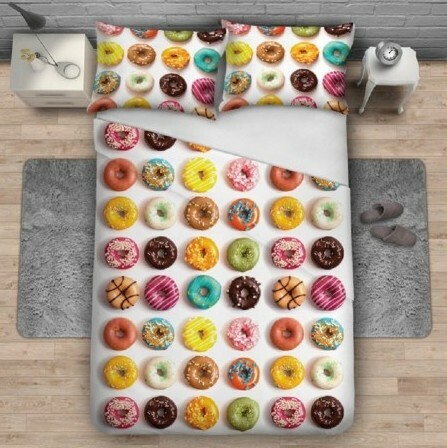 Another cool creative bedding set for sale is this colorful donuts 3-piece duvet cover set! Just grab your favorite donut! This is a cool fast food dream huh? A flying cat among flying burgers and french fries everywhere! 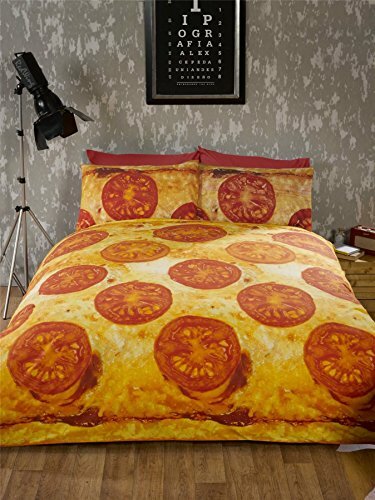 CHEESE AND TOMATO PIZZA Full Size Bedding Set! 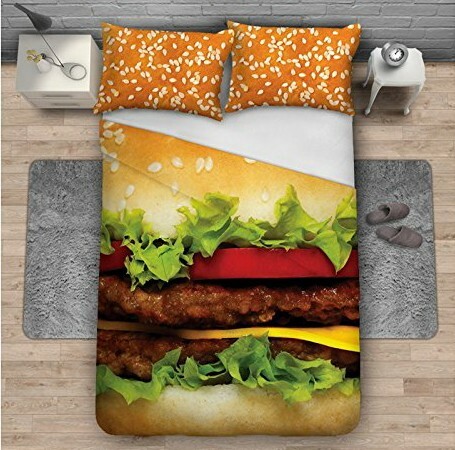 Are you enjoying these funny and creative fast food bedding sets for sale? Guess what time is it now? 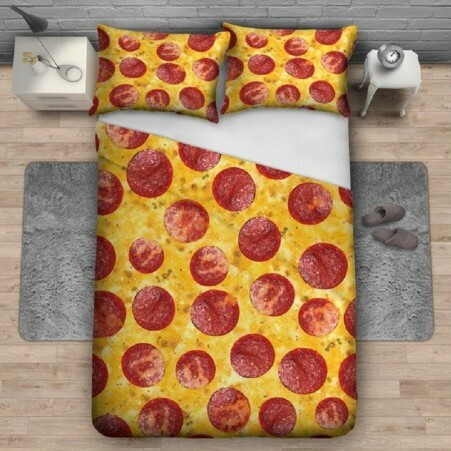 It’s a fun cheese and tomatoes pizza duvet cover set! Prefer pepperoni pizza instead of tomato and cheese? There is a bedding set for that too! 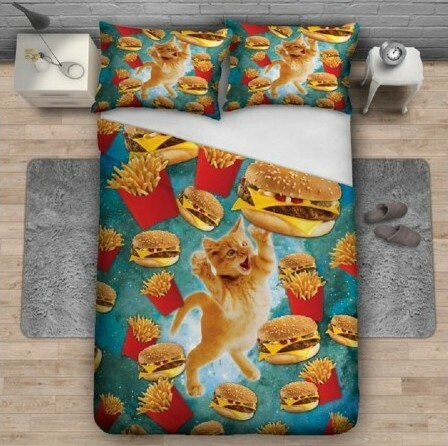 Cool FAST FOOD Duvet Cover Set! 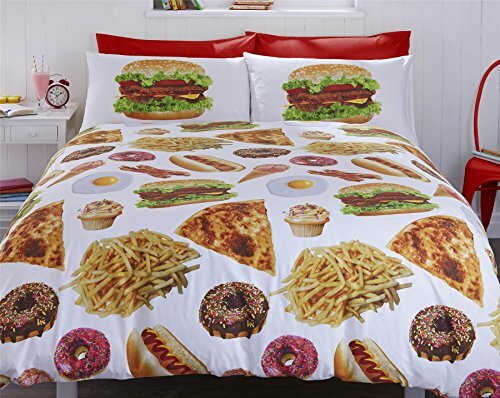 This delicious fast food bedding set for sale has got it all! Pizza, hamburger, french fries, bacon, eggs, hot dogs, ice-cream cones, cupcakes and donuts!! Fun Creative Bedding Sets for Kids! If you are looking for a fun and creative bedding set for your little boy today, how about this awesome astronaut duvet cover set? Have you seen anything cooler than this? 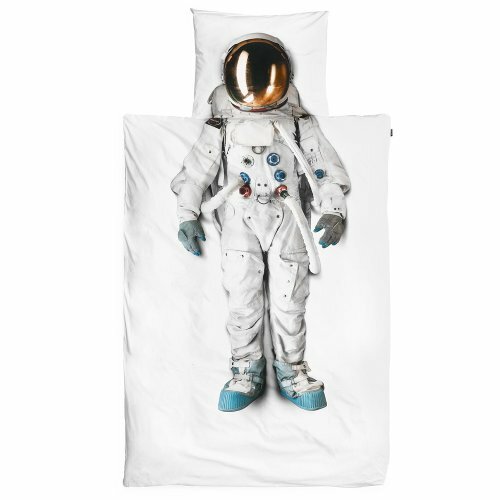 It comes with the cool astronaut in body suit duvet cover and the cool matching pillow case complete with space helmet! Guess who is going to have the most amazing outer space dreams every night? 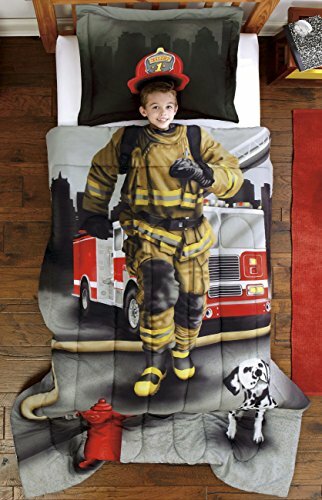 Cool Firefighter Comforter Set for Boys! A fun, creative and very affordable firefighter comforter for your little boy! It also comes with the pillow case! Cute Princess Creative Bedding Set for Girls! Yes, it’s little girls time now! 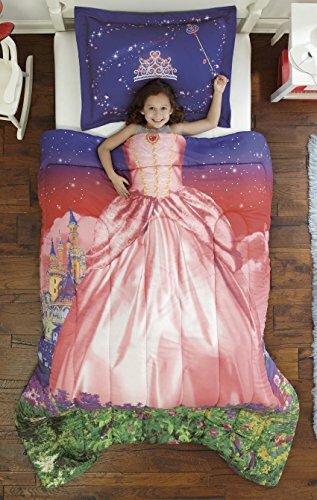 Time to go to bed under a cute and creative princess dress comforter! 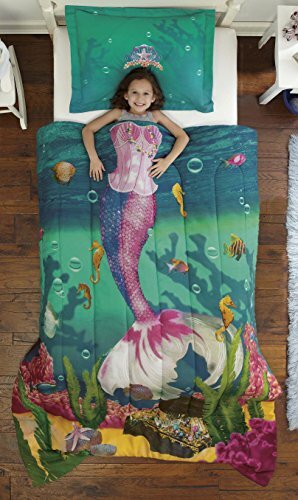 Creative Mermaid Comforter Set for Girls! Does your little girl dream of becoming a beautiful mermaid one day? 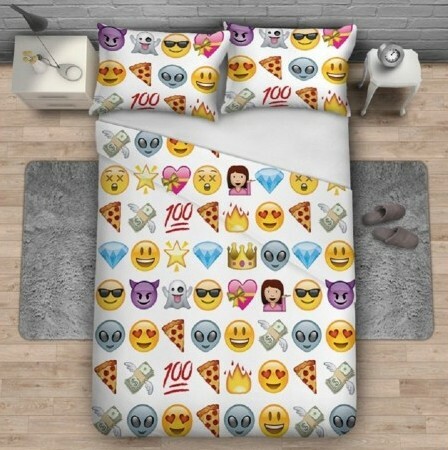 3-Piece Creative Funny EMOJI Bedding Set! And last, but definitely not least in my selection of creative bedding sets for sale, is this cute, colorful and fun colorful Emoji bedding set! It comes with the fun matching pillow cases as well! All you have to do is insert any old or plain comforter inside the cool duvet cover! Impressive Lion Print Bedding Sets! Cutest Dog Print Bedding Sets!